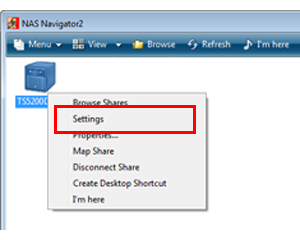 TeraStation 5000 - How to Confirm the TeraStation's IP Address - Details of an answer | Buffalo Inc.
Press "Display" button to cycle through different displays until the IP address is displayed. Click on the TeraStation's icon. 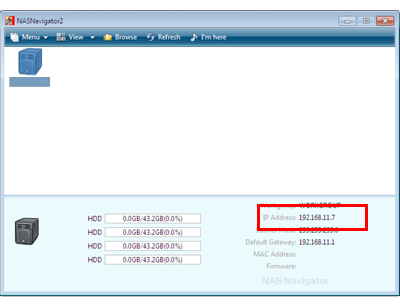 The IP address is displayed in the right bottom corner of the status screen. For a PC, right-click on the icon, then select [Settings]. For Mac OS, select the icon while holding down the control key, then select [Settings]. 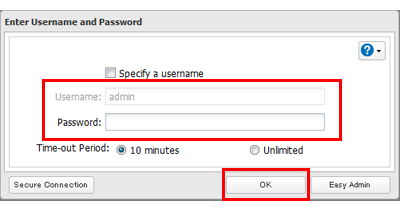 Enter the username and password, then click [OK]. Click the icon in Settings. The IP address is displayed in the status screen.